Attorney General Loretta Lynch has asked to not be considered for the Supreme Court vacancy, the Justice Department said Tuesday. Justice Department spokeswoman Melanie Newman said in a statement that Lynch was honored to serve as attorney general and was committed to serving in the position for the remainder of the term. “Given the urgent issues before the Department of Justice, she asked not to be considered for the position,” Newman said. She said Lynch also had decided that the nomination “would curtail her effectiveness in her current role” as attorney general. The Obama administration is currently searching for a replacement for Justice Antonin Scalia, who died last month at age 79. A Lynch nomination was encouraged by some groups pushing the president to name the first African-American woman to the court. But she was never a likely choice. Lynch’ s ties to Obama and his policies would have given Republicans added fuel in their opposition. 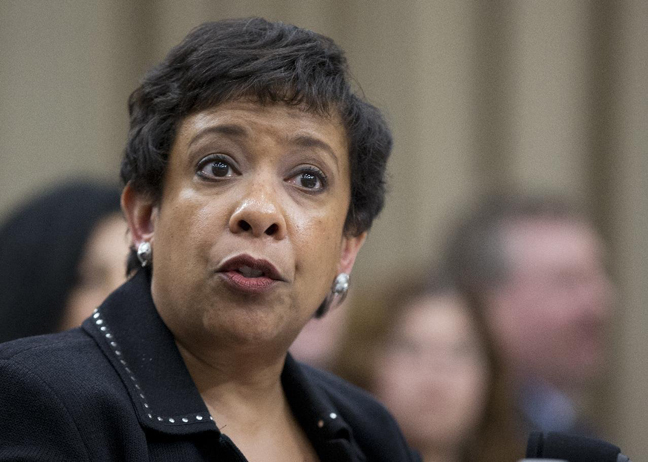 Lynch, the former United States attorney in Brooklyn, was confirmed as attorney general last year following a drawn-out confirmation process. The only remaining black woman believed to be a possible candidate is Ketanji Brown Jackson, a federal judge in the District of Columbia.